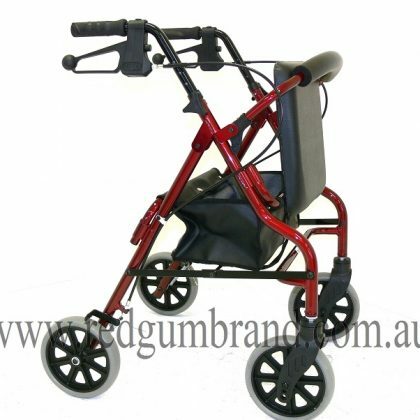 A four wheel seat walker with a slung seat and padded plastic backrest. It has an aluminium frame that folds sideways. 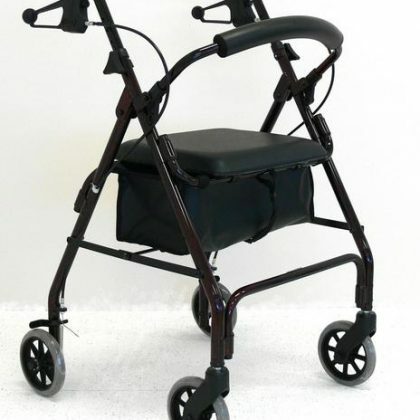 A four wheel seat walker with a slung seat and padded plastic backrest. It has an aluminum frame that folds sideways. 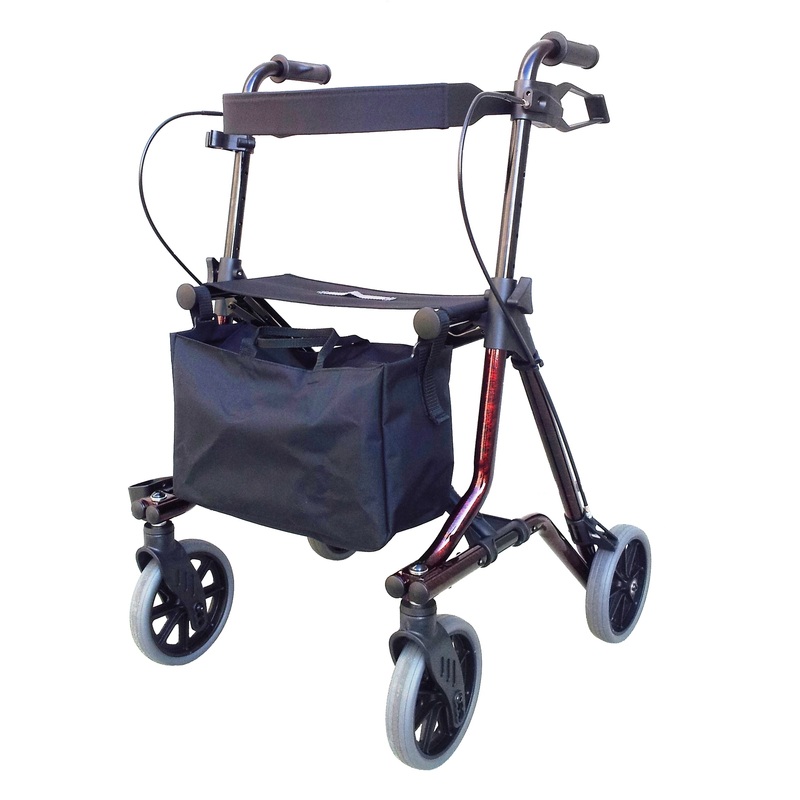 The backrest is reversible, allowing the user to sit facing to the front or back of the walker. 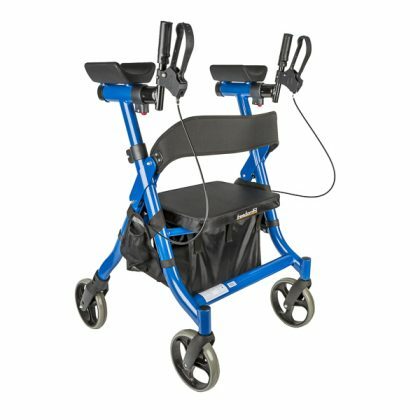 The push handles are height adjustable and have bicycle style hand brakes. 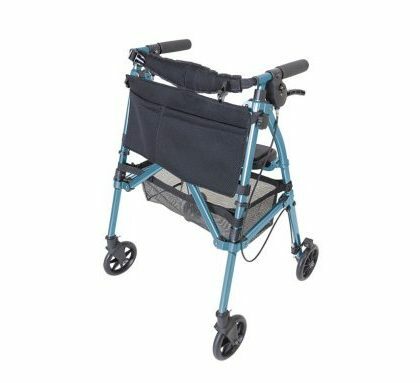 A nylon storage bag and a cane holder are included.